"The 6" CinemonitorIII provides me with what I need for live Television events: less weight, lower power consumption, larger screen to view and color image. It even works nice with a downconverter for HD. My green screen tube is now my back-up monitor". 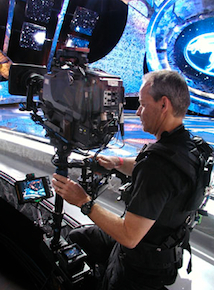 David Eastwood, 7 time Emmy winner, ICG, operates on top live events such as the Academy Awards, Emmy and Grammy Awards, American Idol and more.